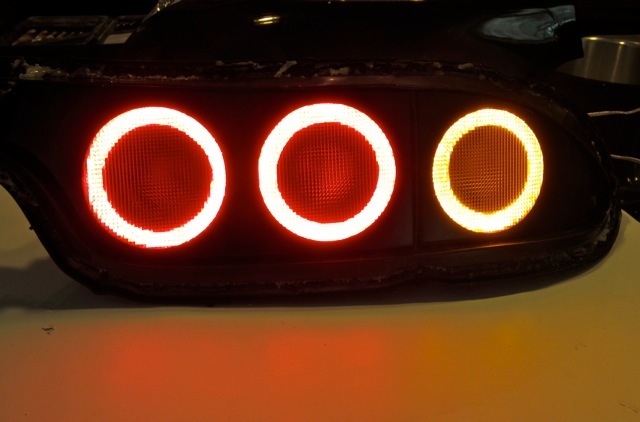 I would like to see these tail lights in a hot bright summer day. Most of the pictures taken where in a dark room or dark setting. there is no 25 year exemption law in california. '75 and earlier is the permanent cutoff for emissions certification. Happy to do this when we get a little sun. Iv'e already seen them in FL on M104-AMG's in the sun and they look great. But that is opinion. The proof is in the light output testing numbers and these test slightly brighter than the superbright.com LEDs which are 150% brighter than stock and this is with turning them down. pictures of LEDs are too misleading, it can go either way very quickly. ever thought to put the adjuster on a relay so when your headlights are on the tails brake state is dimmed so during the day they can be brighter? That is a good idea but beyond my capabilities. If someone knows how to wire this up I'd try it. The dimmer units I am using have an internal adjustment so the relay would need to lower power at night. They do make externally dimmable drivers too which might be better suited to the task. Any electrical experts around? I wish I had the time, patience, and skills to complete this myself. wow looks very good, nice write up! My pictures above were actually in a bright room. The led's are just so bright it causes the camera to adjust so everything else looks dull. In my dark room 2 of the led angel eyes alone light up most of the room. I can imagine 4 would light it up exceptionally well. The angel eyes arent even as bright as the brake lights. I've no concerns, though since I have absolutely NO bias here (I dont know theory or david personally, just what I've read online) I'll be happy to report honestly how I feel about them once they are done. Dang I thought my led retrofit was a mess lol. I might of missed it but I didn't see any regulators on the 80mm and 75mm rings. I would strongly suggest adding some Sharp PQ12RD21J00H regulators to them nothing kills leds faster then unstable voltage. They only have a dropout voltage of .5V it's the lowest I have seen. The ones from radio shack have I think 2V dropout so they don't regulate the voltage the whole time. Got a vehicle that eats leds?? Switching on the ignition & starting the engine while the leds are switched on. 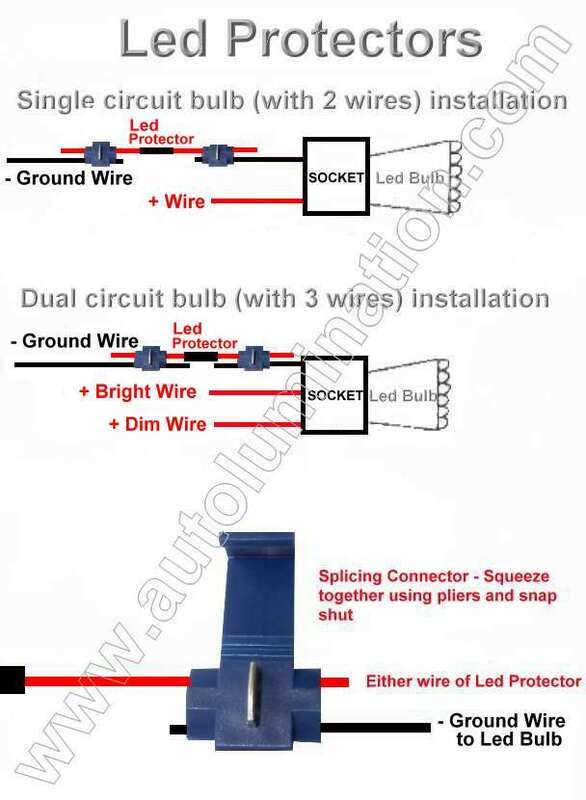 Changing or disconnecting the battery while the leds are switched on. Charging the battery with an auxiliary battery charger, or revving the engine hard with a weak or dead battery while the leds are switched on. Using jumper cables while the leds switched on. Excessive AC voltage due to damaged diodes in the alternator. 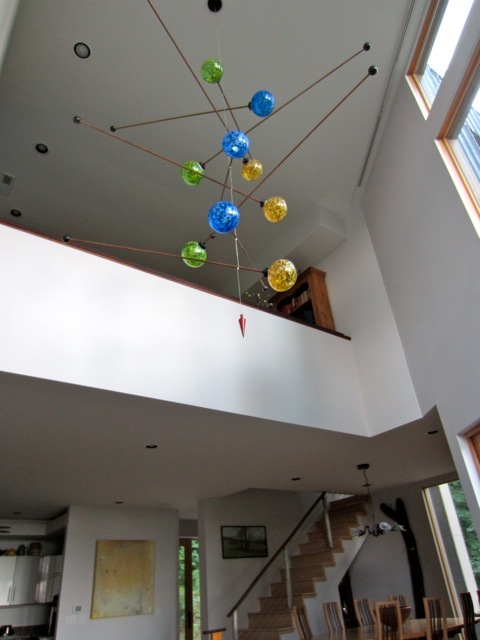 High system or circuit voltage. Voltage surges caused from switching on and off amplifiers or other peripheral add on devices that use a lot of power. Faulty or out-of spec. voltage regulators. So Mr. BryanDowns, how is it going with the project? Any updates? 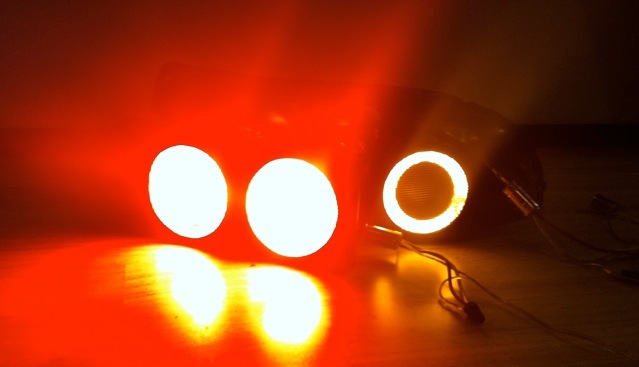 Also, I just noticed superbrightleds.com is running a 5% off banner on the forum. Use code RE753 when ordering for the discount. I would just stick with the sharp regulators I never tried out the ones in the link. Back in FL for Thanksgiving. Hope everyone has a safe and happy holiday and "War Eagle"! On topic, here are the missing pics from the beginning of the thread. Mods, when merging the thread back together, will you please fix the broken links? Cut the outer circle first and then the inner circle. 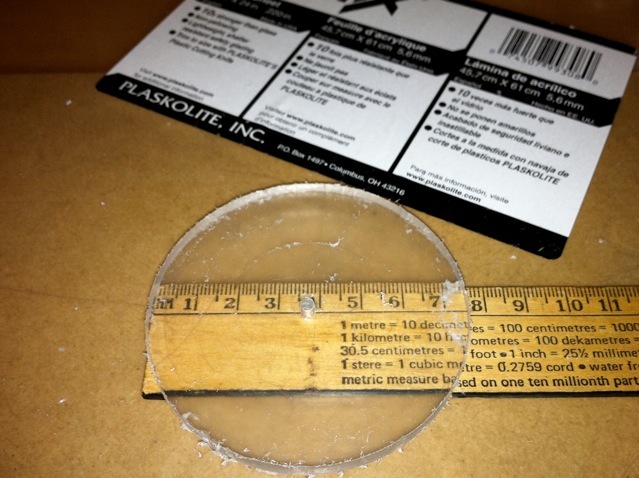 Once you've cut the outer circle you can then cut the inner circle by simply holding and rotating the acrylic. Be careful with the last bit of cut as there is nothing to support the circle. Try one and you'll see what I mean. The Dremel drill bit has an outer and inner edge so when you make a circle, you will need to account for the thickness of the bit. For outer circle cuts, set the device so the inside of the bit edge is at the desired dimension. So for 80 mm rings, set the inside of the bit at 80 mm. For inside circle cuts, set the outside of the bit to the desired dimension. You can use the bit to help smooth out an outside circle cut by simply rotating the circle still on the Dremel after you've cut the circle. By doing this you use the Dremel to clean up the outside edge. I used a Dremel sanding attachment to clean up the inside edges. Finally, I found it was best to make all Dremel cuts with the acrylic stock material raised up and off of the surface. 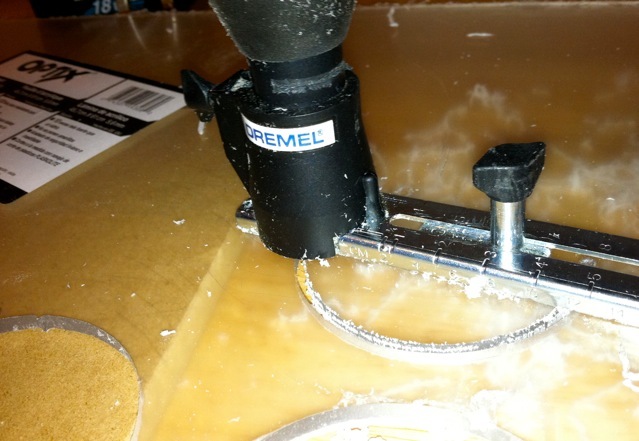 This gives the Dremel room for the waste cut material to drop below the ring and not get caught up in the circle cut. You’ll first need to take apart the taillight assemblies. You do this by removing the 6 screws on the backside of the OEM taillight plastic housing. You then apply heat to the outer back edge of the taillight where the back meets the front clear cover to melt the clear adhesive that holds the front lens cover to the back housing. Take your time and it’s easy. I used a hair dryer because my heat gun was in storage and it took me about 10 minutes of applying heat before I was able to separate the lens from the back housing. Set the front lens cover aside for safekeeping. 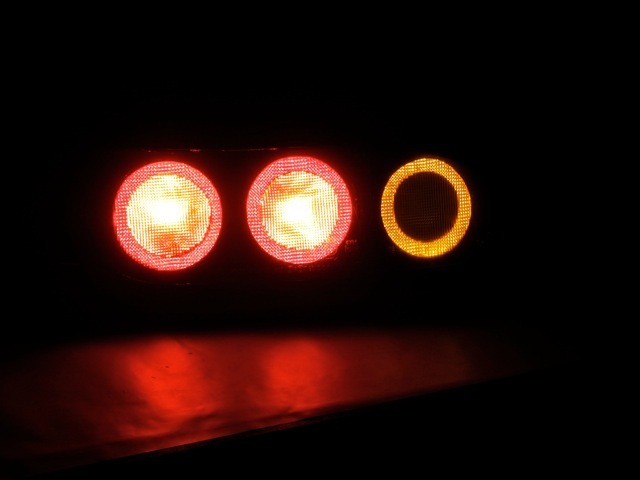 With the plastic front lens off, you’ll see the tail lamp has two sections, one comprised of two lights and the other made up of the turn signal. Each of these sections is held on with a single screw (on the upper side of the brake section and the bottom corner of the turn signal) that needs to be removed. Once you have done this, look along the top lip on the right of the brake section and on the left of the turn signal assembly to locate the small tab that secures each section. Use a screwdriver to unclip the tab and pull each section out. There will be some resistance here as each section is also held on with a small amount of clear adhesive. With this done, you’ll see each taillight is comprised of three light sections, two for the brakes and one for the turn signals. 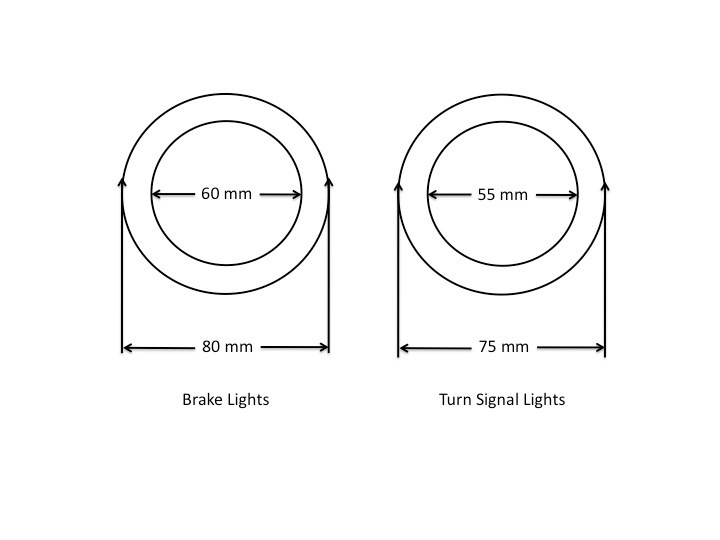 The two new brake LED assemblies are identical 80mm units and the turn signal is a slightly smaller 75 mm size. The size differences correspond to the sizes of the 99 spec brake lights and turn signals. 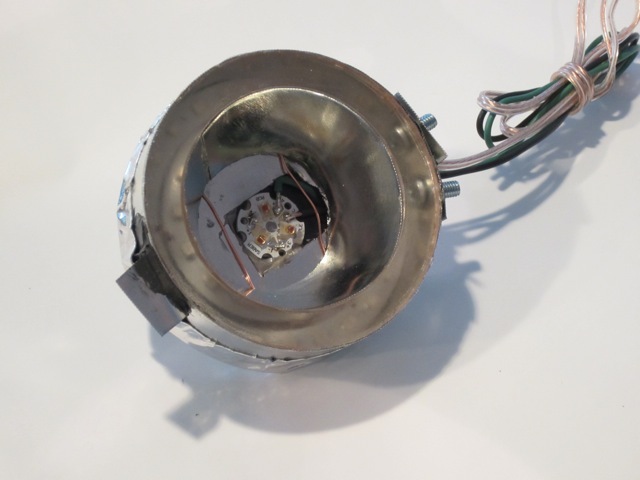 In the middle is a reflector and a high-powered LED circuit mounted component and if you look through the acrylic ring, you can see the 80 and the 60 mm LED rings. For the center reflector, the test unit was glued together using Loctite Stik'N Seal Ultra Universal Adhesive. For the final versions, I also riveted the reflector together. The outer ring in the pic is glued and screwed together but the screws were replaced with rivets as well. 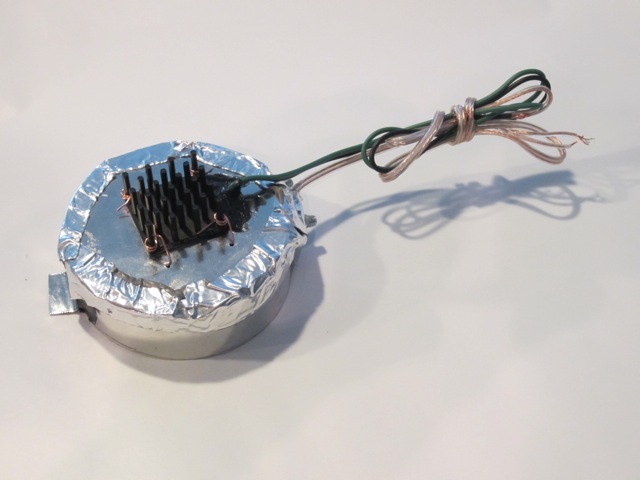 The back of the unit contains the thermal heat sink for the high-powered brake and turn signal LEDs. The heat sink attaches to a back plate (which you will make following the template) with either thermal adhesive glue or with high temp RTV. Either works just fine. I also then used copper wire to attach the heat sink to the back plate for an extra level of security. 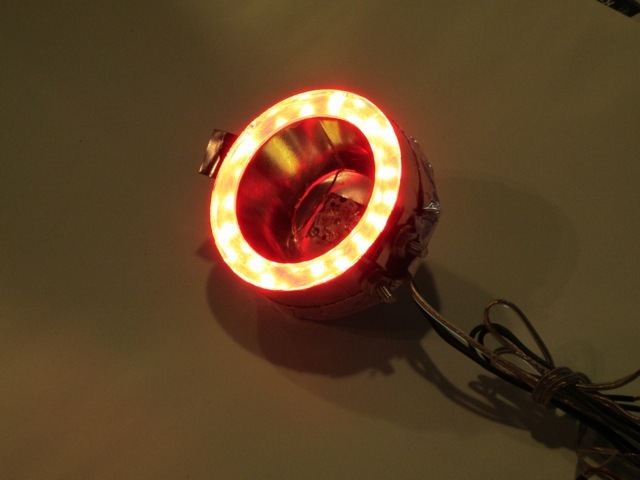 The silver tape is Home Depot tape that holds the back plate to the round light housings. You could glue this on or use silicone or tape it on. I did both. 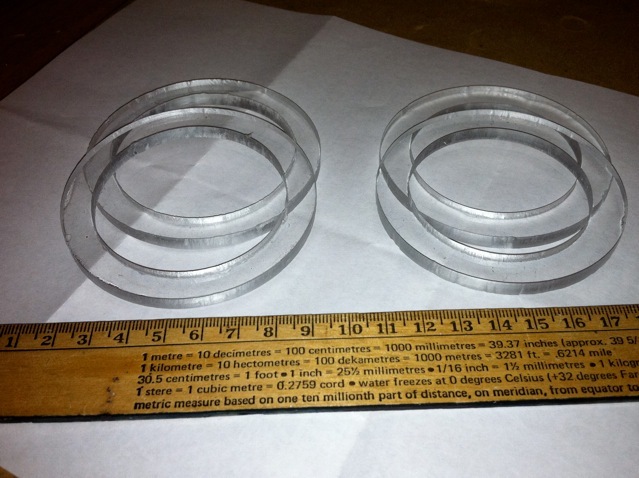 To fabricate an assembly, use the provided templates to fabricate the acrylic rings and the metal components. See previous pics. I finally got my circle cutter in the mail. My progress will have to wait for a bit; I've been sick and I think my wife will kill me if she finds me cutting acrylic circles in the garage. Having seen the upgraded tail lights in person, holybajesus what a difference. There is no possible way/shape/form that a driver behind you will ever not notice your brake lights and turn signals. I also got a chance to see the car when there was one of the original LED tail lights and one of the upgraded ones, complete night and day difference. ^Thanks for adding in your observations. 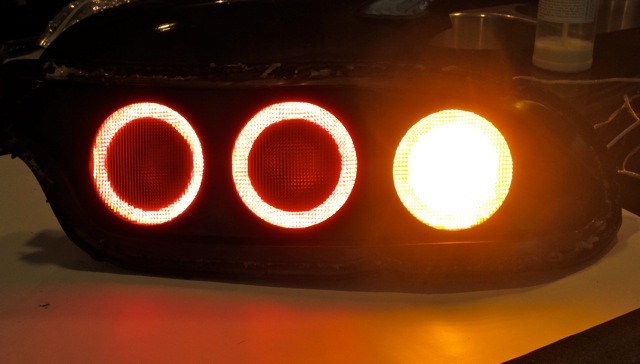 I have turned down the brake lights since then to a lower level of light output. What you saw was 100% output and when I measured it, it was too bright. I'm probably at around 70% of what you saw. As an aside Tray and I went out last weekend for a drive to Mt. 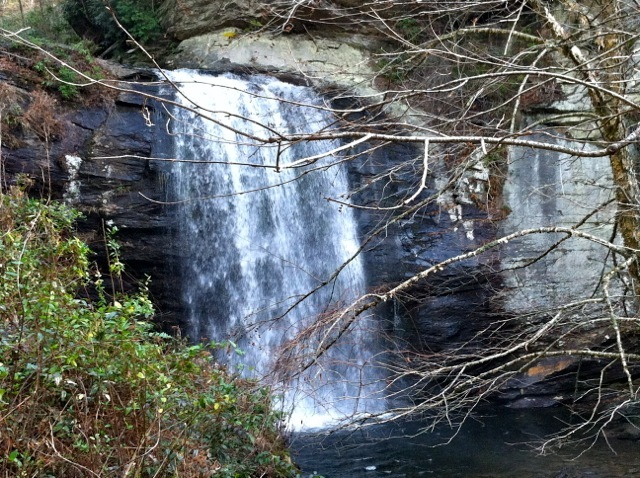 Pisgah via the Blue Ridge Parkway. Great drive. One of the roads going there was like the Tail of the Dragon with no people. A little too wet to do anything crazy but a lot of fun. 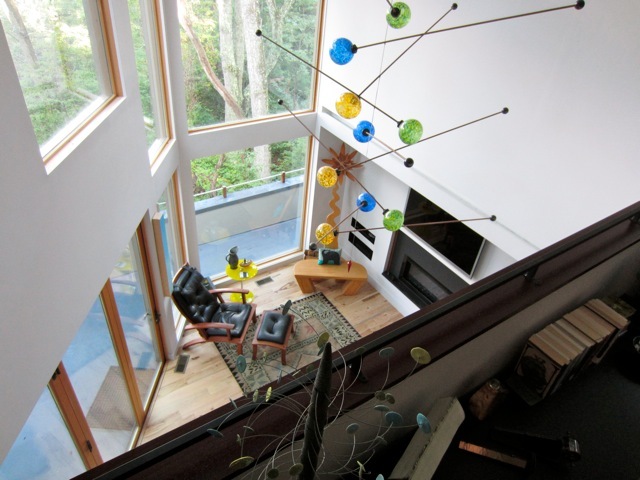 You sir have excellent taste in furniture and home design. If I'm lucky maybe someday I'll get to come up and check it out in person someday. As for the roads around here, they're typically better than what you'll do on the dragon, just got to be on the look out for all the people riding bicycles. But for all the car traffic there's way way less. Has Tray taken you on 151 yet? I think I heard him mentioning that you had installed a controller to turn up or down the intensity, I think that's a pretty good idea. Can turn it up or down depending on weather conditions. Would there be a way to wire in a hazard relay to the brake lights as well? That could be a neat little add-on.